Our caregivers have passed the above screening process that is why, you can be confident that a qualified and highly-skilled caregiver will tend to your needs at home. Aside from that, to maintain the quality of their work and to improve the services we provide, we encourage and require our caregivers to undergo extensive caregiving trainings. Just For You! Personal Support Services, Inc.’s caregivers are interested in making a difference in our clients’ lives which fuels their motivation to go further when it comes to quality care. 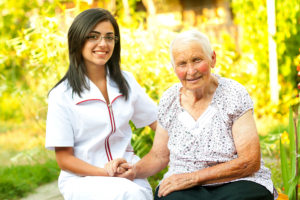 Committed to superior client-care, our caregivers will enrich the lives of our clients through healthy companionship, reliable personal care assistance, skilled nursing care and respite care services. Meet our caregivers today! For additional information, please call us at 770-991-9489 or send us a message through our quick contact form.